Precious metals futures settled lower on Friday but most advanced on the week. Gold was the exception, edging slightly lower for a second week in a row. Silver, meanwhile, advanced for a third straight week. Gold for June delivery on Friday dropped $20.30, or 1.6%, to settle at $1,230 an ounce on the Comex division of the New York Mercantile Exchange. "At least for now, evidence suggests that gold is exhibiting bullish characteristics representative of an early positive long-term trend," MarketWatch quoted Adam Koos, president of Libertas Wealth Management Group. Gold futures slipped 0.4% this week after dipping 0.7% last week. Still, the precious metal is $169.80, or 16%, higher than its last settlement in 2015 at $1,060.20 an ounce. 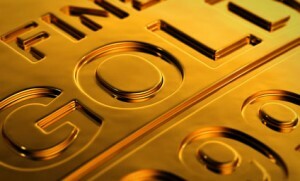 Out of 36 market experts contacted, 18 responded, of which five professionals, or 28%, said they are bullish on gold. At the same time five professionals also said they are neutral on the market. Eight professionals, or 44%, said they are bearish." Elsewhere on Friday, silver for May delivery shed 19 cents, or 1.1%, to settle at $16.90 an ounce. Silver prices advanced 3.6% this week and they are 22.4% higher so far this year. "We’re starting to get better demand news coming out of emerging markets," Bloomberg News quoted Michael Smith, the president of T&K Futures & Options in Port St. Lucie, Florida. "I think the big funds, the smart money, the big traders are jumping all over it because it’s rising." On Wednesday, silver scored a more than 11-month high at $17.135 an ounce. July platinum lost $20.70, or 2%, to settle at $1,011.20 an ounce, but moved 2.2% higher than a week ago. Palladium for June delivery declined $3.85, or 0.6%, to close at $606.20 an ounce, but surged 6.7% on the week. The pair have booked respective year-to-date gains of 13.2% and 7.9%. Gold fell $6, or 0.5%, to $1,243.25 an ounce. Silver fell 13 cents, or 0.8%, to $17.19 an ounce. Palladium fell $5, or 0.8%, to $611 an ounce. Their weekly increases tallied to 1.3% for gold, 6.3% for silver, 4.3% for platinum and 7.6% for palladium. U.S. Mint gold sales climbed this week by 37,000 ounces. That compares to last week’s total of 39,000 ounces, which is the most since sales of 98,500 ounces in the week of Jan. 11 when the newly 2016-dated editions launched. The weekly sales splits include 33,000 ounces in American Gold Eagles, matching last week, and 4,000 ounces in American Gold Buffalo compared to 6,000 ounces previously. Both gold coins already have totals for the month that are more than double the previous month. This week, the U.S. Mint allocated sales of American Silver Eagles to 1 million coins. Bullion distributors order 91.3% of them, leaving the remaining 87,500 for next week. 2016 Silver Eagles are running at a record sales pace of 17,912,500 coins — 27.9% higher than through the same time in record year 2015. Lastly, sales kicked off on Monday for the bullion coin commemorating Cumberland Gap National Historical in Kentucky, the second of five 2016-dated America the Beautiful Five Ounce Silver Bullion Coins. Sales hit 48,000 coins on the first day. They finished the week up another 16,000 coins for a cumulative total of 64,000 coins. The first 2016 release depicting Shawnee National Forest in Illinois has current sales of 105,000 coins, the most since the Glacier National Park coin from 2011.